29% of biracial adults previously thought of themselves as one race. 5 0% of biracial adults are white and American Indian. 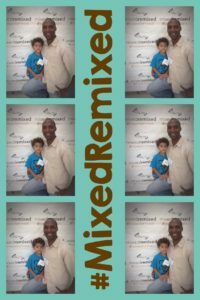 The multiracial population will triple by 2060! Multiracial Americans are politically diverse. 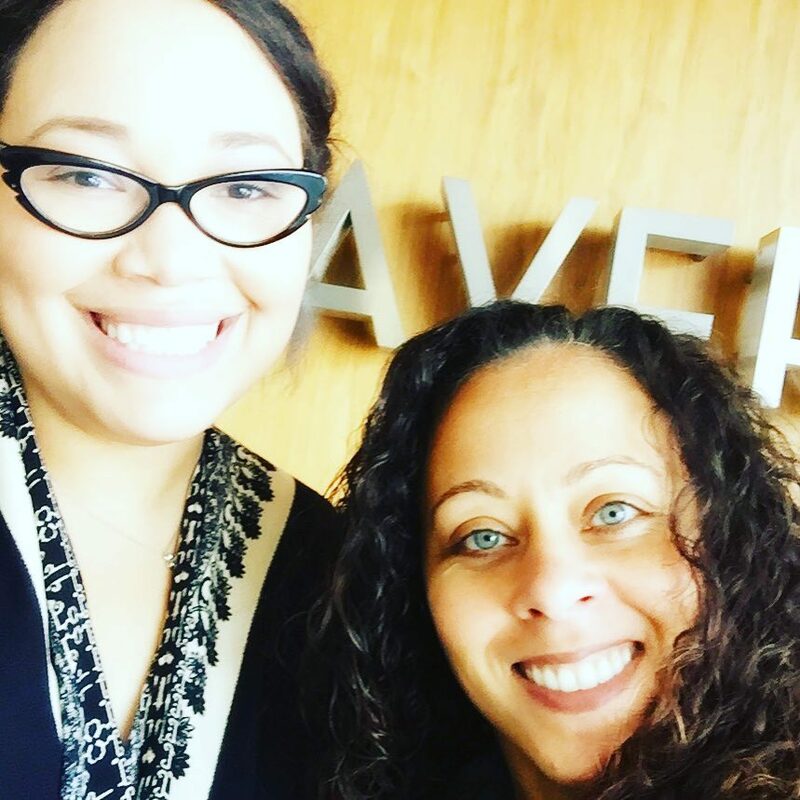 There are psychological advantages to strongly identifying as biracial. 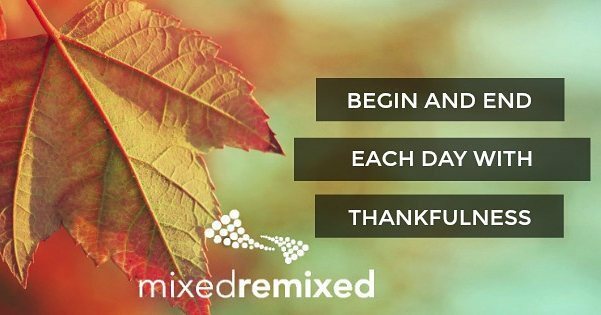 Happy Holidays from Mixed Remixed! We hope that you are enjoying a happy and peaceful holiday season! 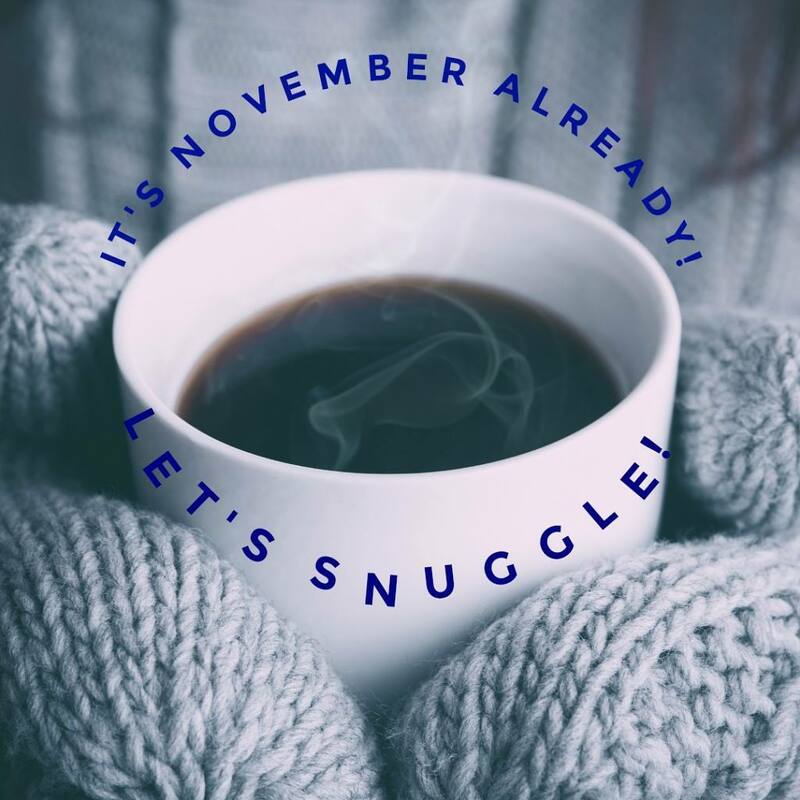 And we can’t wait to see you next year! 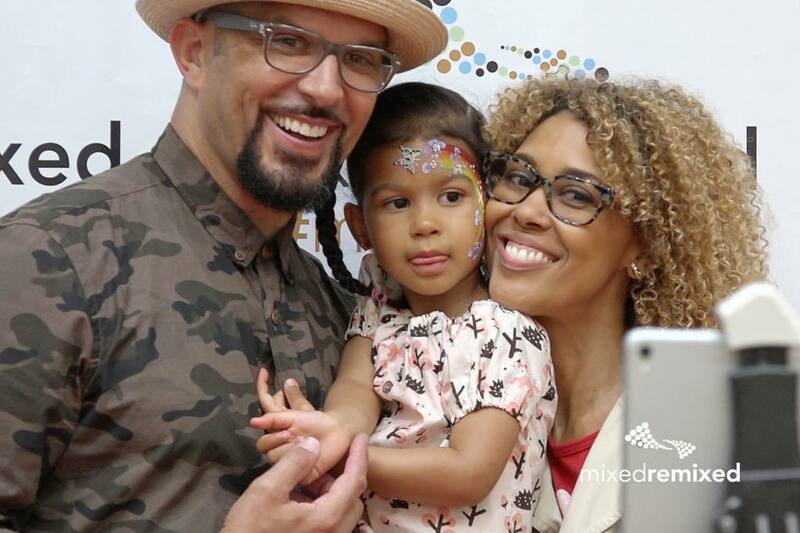 We’re taking a look back at the year and wanted to highlight some of the big stories about biracial and mixed race people and experience that made the headlines this year. Here are our top 10-ish in no particular order. What did we miss? If you haven’t seen the film yet, you simply must. We were so excited that Focus Features signed on as a sponsor this year as they worked to reach the audience that this film would mean the most to. 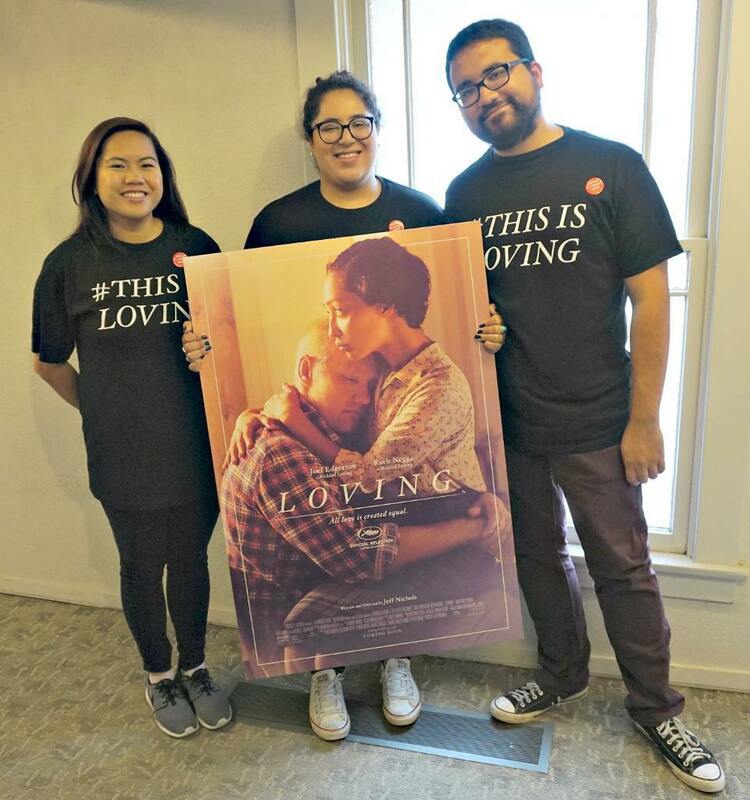 When we finally saw the film in a private advanced screening we were not disappointed. The performances of Ruth Negga (a mixed chick!) and Joel Edgarton are quietly stunning. Director Jeff Nichols has done a wonderful job in portraying the people behind the case of Loving v. Virginia. I’ll say it again: If you haven’t seen the film yet, go see it NOW–and if you have go see it AGAIN! We want to make sure that Hollywood knows that when they make stories about our experience and our lives we will support them! There’s no telling how long this couple will continue to be a couple, but they are now and I think it’s pretty darn cool. We might have a mixed chick as British royalty soon according to this report. Stay tuned. The Rock was named People’s Sexiest Man Alive this year and who are we to disagree! He’s had an amazing year professionally as well with his hit comedy with Kevin Hart and then his star turn in the Disney animated film Moana –you’re welcome! I can’t wait to see what he does next. Yup, we put the Festival on the list because it was the very biggest and best it’s ever been. We received write-ups by NPR, NBC News and the Los Angeles Times. 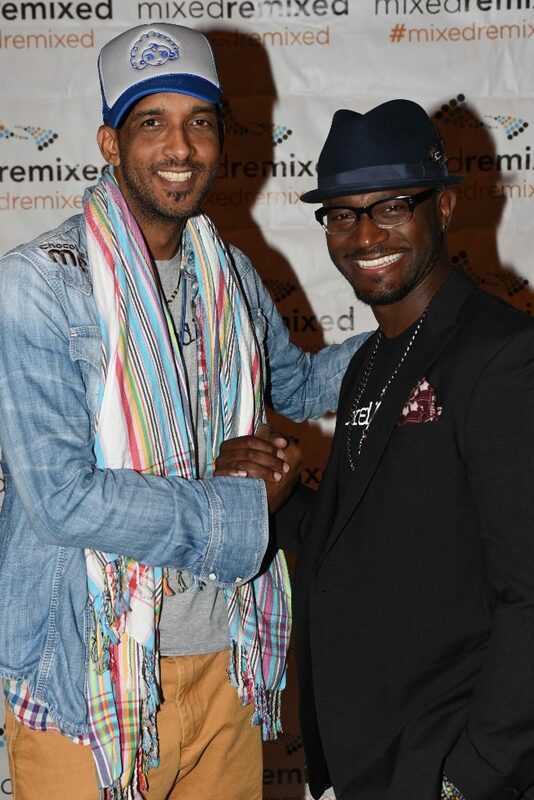 We set attendance records (close to 1000 people this year) and we had a line-up that was unparalleled–not to mention the most amazing live event show to date where we honored Taye Diggs and Shane Evans for their book Mixed Me! We’re working on how we can follow up all of the amazing-ness already. Again, stay tuned. I think Kamala Harris is the first mixed chick ever elected to the Senate (but please fact check me if you can). She will represent California as the first black female senator and the first Indian-American senator from our state. 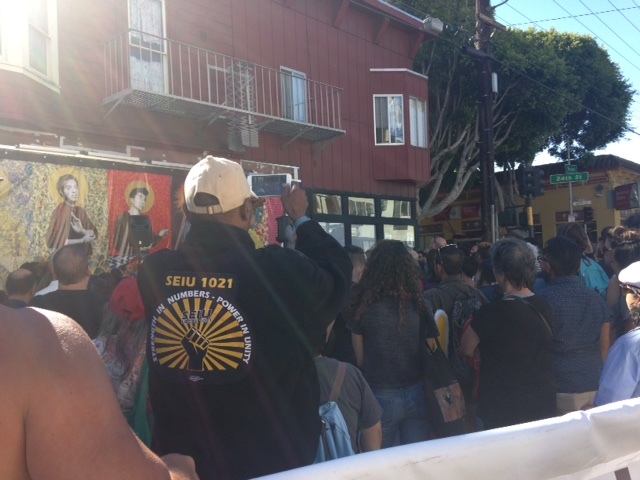 We hope you can do the important work the country needs, Sen. Harris! Okay, you may not have heard of this, but it was a really important conference. 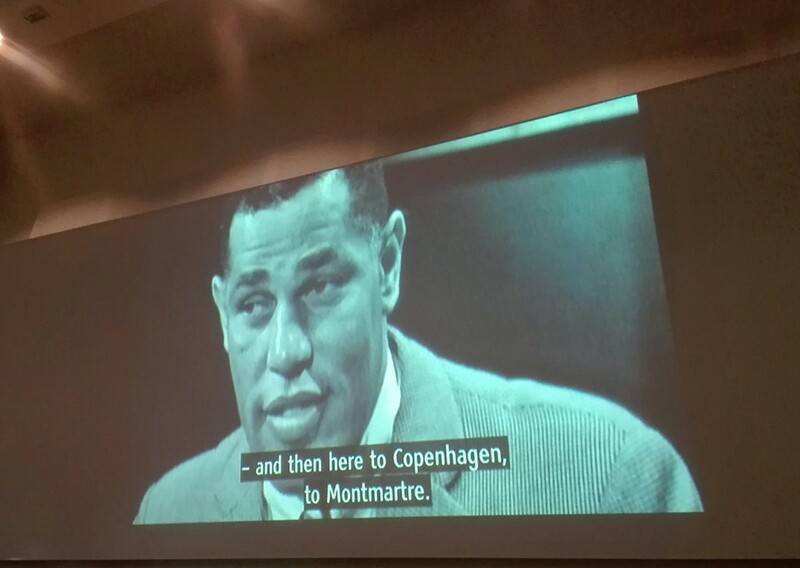 It was a two-day conference at the University of Copenhagen that really was illuminating. You would be surprised about how many connections there are between Denmark and African Americans: black American jazz artists that emigrated there, Nella Larsen, painter William H. Johnson, and even Booker T. Washington had ties to the country. The fact that they are talking about racial and cultural connectedness in Denmark that has for so long been a homogeneous population is real progress! What can we say but BRAVO! Yes, we miss the duo on their show, but we’re so glad that they received the recognition that they so deserved. They are both busy with lots of new projects. We continue to be their biggest fans. I wouldn’t exactly categorize this as good news, but there it is. Robert Reece in a study found that black people who simply said that they had multiracial identity were perceived as more attractive. According to Reece: “Not only were people who identified as multiracial rated as more attractive on average, but even the multiracial people with the darkest skin tones were rated as more attractive than the monoracial black people with lighter skin tones. 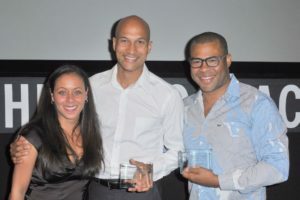 In essence, this combination of results means that simply identifying as multiracial may make a black person appear more attractive to others, regardless of how he or she actually looks.” I’m not sure what the takeaway should be with this information. What do you think? I wasn’t surprised to read about the study that found that mixed-race women are more likely to identify themselves as mixed race than men. 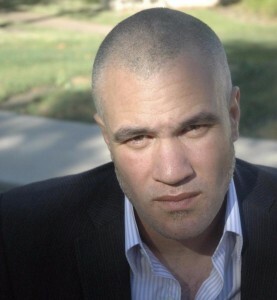 According to Stanford professor Laura Davenport, who did the study: “It would seem that, for biracial women, looking racially ambiguous is tied to racial stereotypes surrounding femininity and beauty.” This was another important study that is helping us understand how racial and gender identities work together–something we will need to understand better as we become an increasingly mixed-race and multiracial country. What can I say about Hamilton that hasn’t already been said? It’s an amazing genius achievement in every way and has had a profound impact on American culture with everyone from teens who have memorized the soundtrack and now also the mixtape songs. 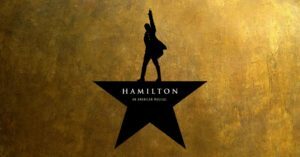 Congrats to Lin Manuel Miranda and the whole multicultural cast on all of the success and thank you for the great work you do! Okay, so what did I forget? Do tell! And happy new year! 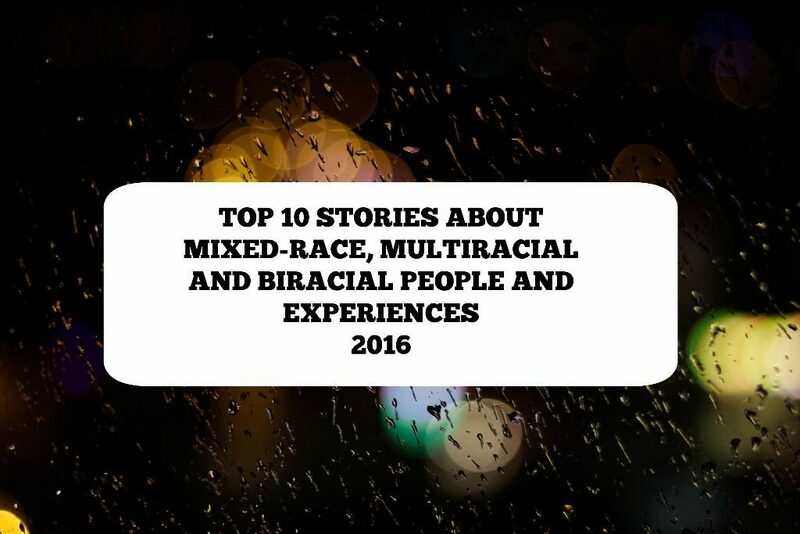 What were the top 10 stories of the #multiracial #mixedrace community in 2016? We love this toy! It truly empowers children to explore a world of possibilities and build all kinds of modern families that looks like their own. Order NOW directly from the toy maker or from one of the fine retailers listed here. 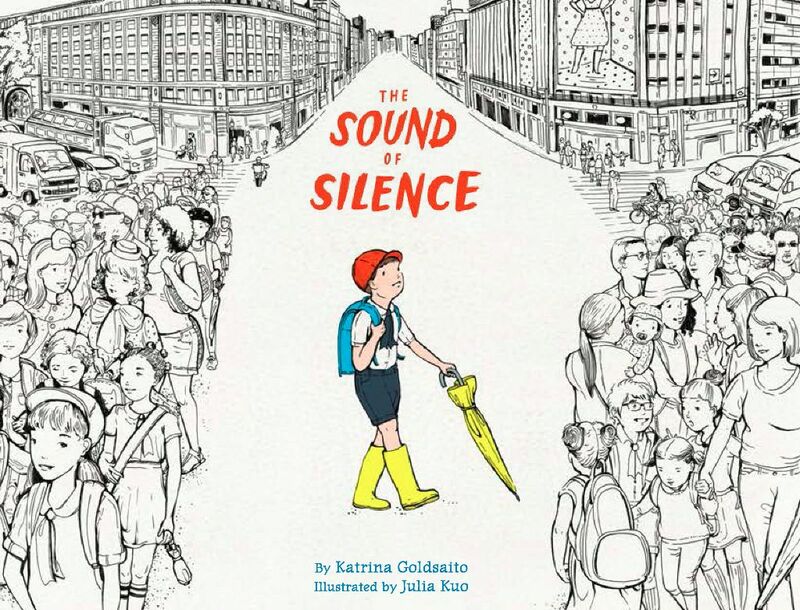 We were so lucky to have Katrina present at the Festival this year! Her book has since earned rave reviews everywhere. Get a copy of this great children’s book now. This is Yoon’s follow-up to her New York Times bestseller Everything Everything and it doesn’t disappoint. 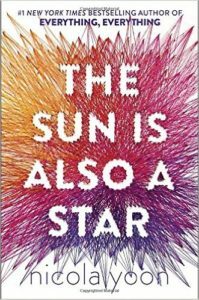 If you are a fan of Eleanor and Park by Rainbow Rowell, you’re really going to love this. It’s a YA novel but it also has definite cross-over appeal. 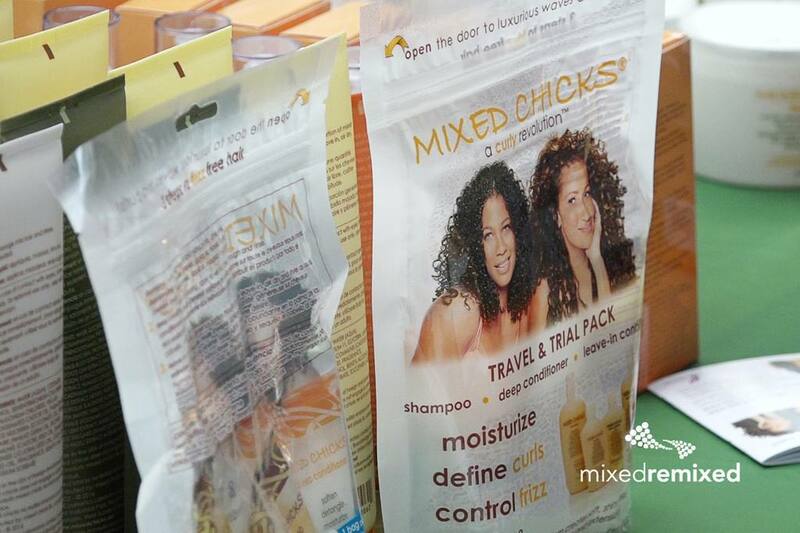 First of all we love Mixed Chicks hair products! And we really love these sassy new Mixed Chicks dolls! 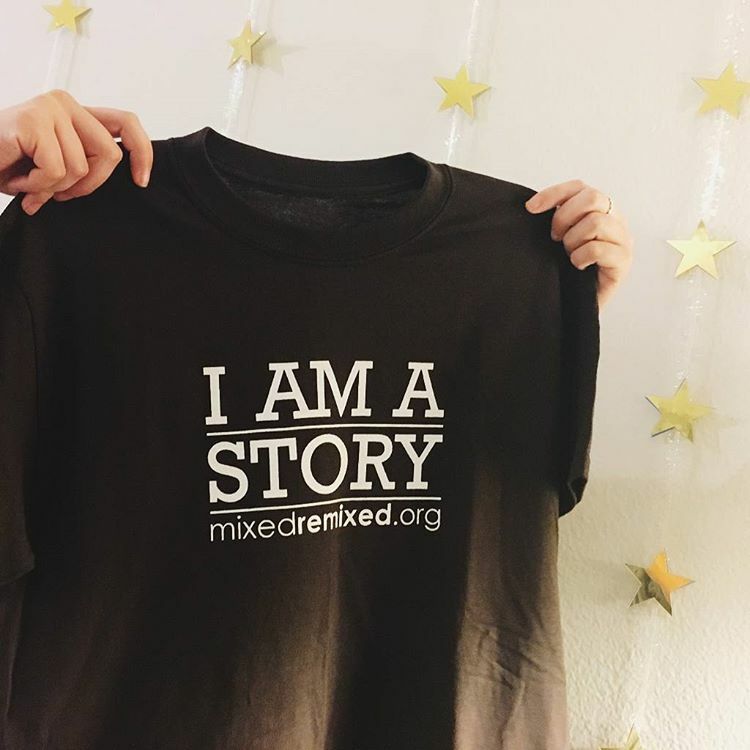 It’s so hard to find mixed-race and multiracial dolls, but Mixed Chicks has found a way to celebrate all of the diversity of mixed-chick-ness! We think you’ll love these too. 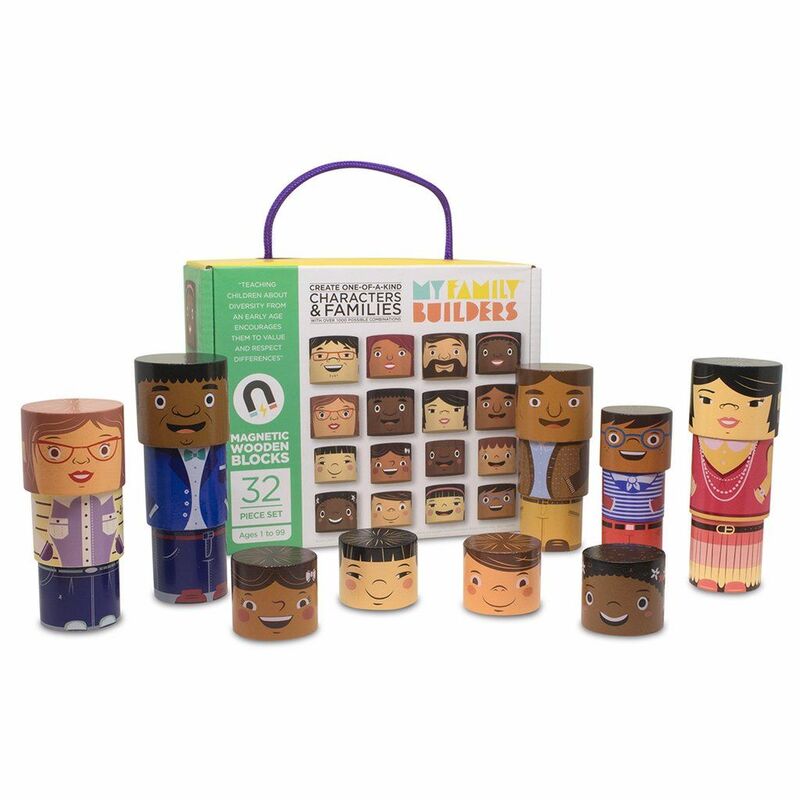 You’re looking for a great gift for a #multiracial child! 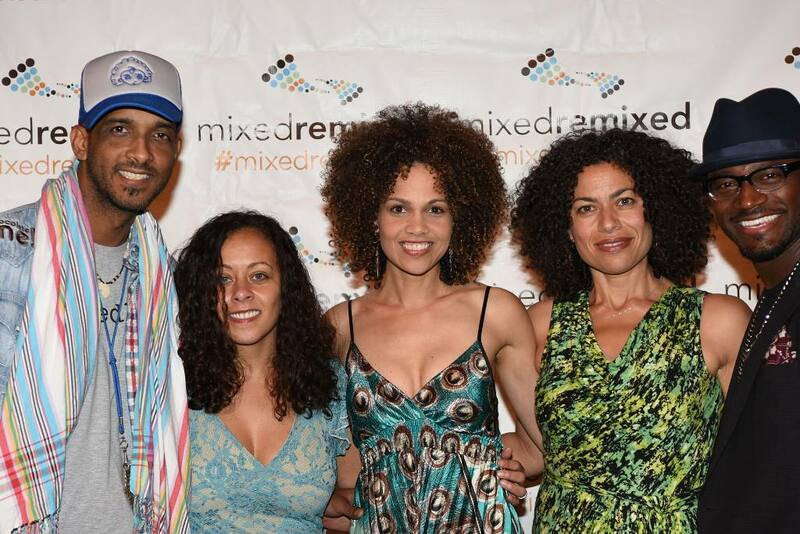 Get @mixedchicks dolls! Well, let’s just say, why wouldn’t you want to have your very own The Rock doll to keep close! 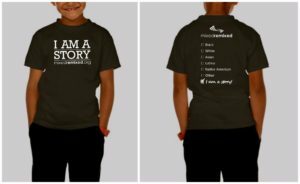 These t-shirts are the ultimate in cute and answer that question you know you or your kids always hear: What are you? 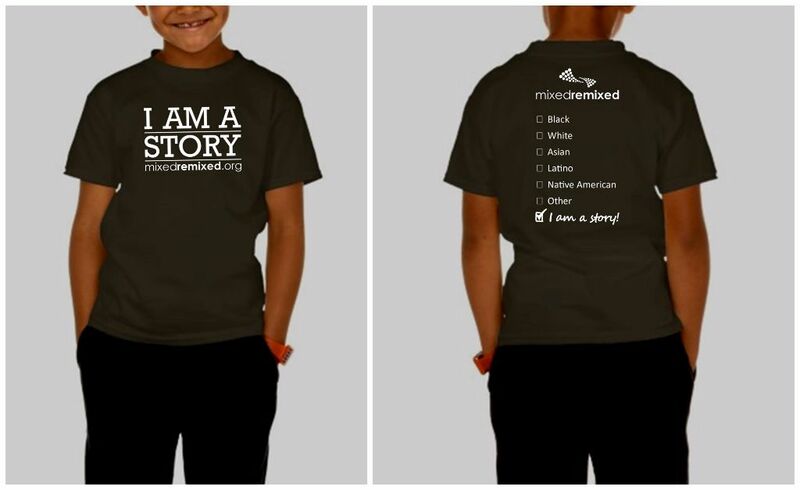 Put an end to the questions and support the Festival by buying a t-shirt for someone you love. We are huge Ziggy Marley fans and now are huge fans of the Ziggy Marley and Family Cookbook. You are going to love the variety of recipes that will fit you multi-culti life. 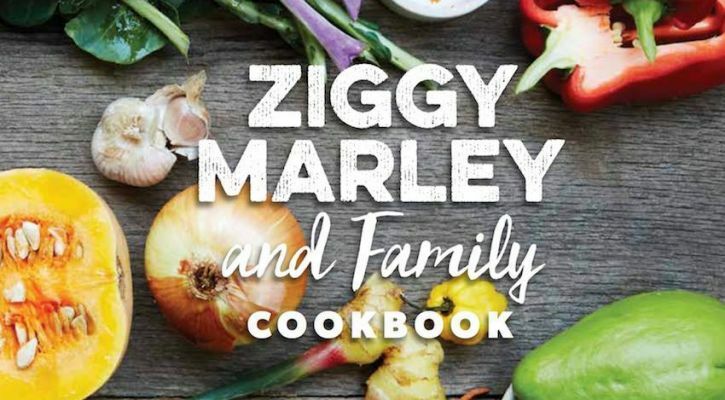 Do you have a budding cook in your house? Do you just want to learn to up your game? Well, if you live in the Los Angeles area this is the place you want to go. 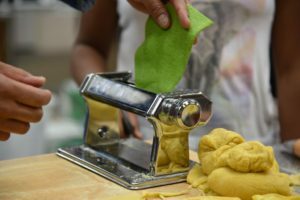 The chefs in residence teach a variety of classes on how to make fresh pasta, ice-cream from scratch, Indian food, spice blending, and the most delicious bread in the world. You can get a gift certificate for your loved one. I know that they would love it! 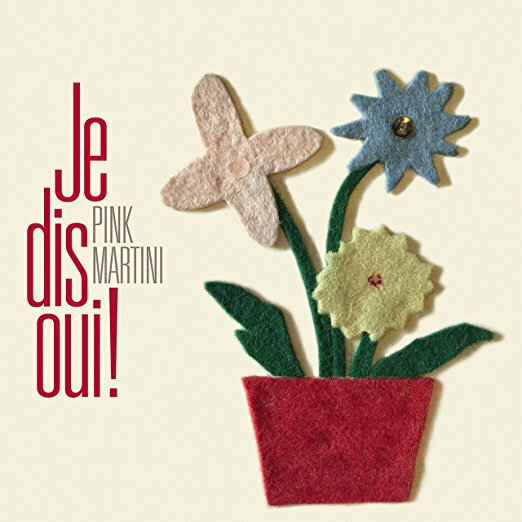 Pink Martini, Je Dis Oui! I heart Pink Martini, the ultimate band with a multi-culti vibe. The musicians are as diverse as the music. You won’t go wrong by gifting this CD, newly released by the band or any of their other CDs either. 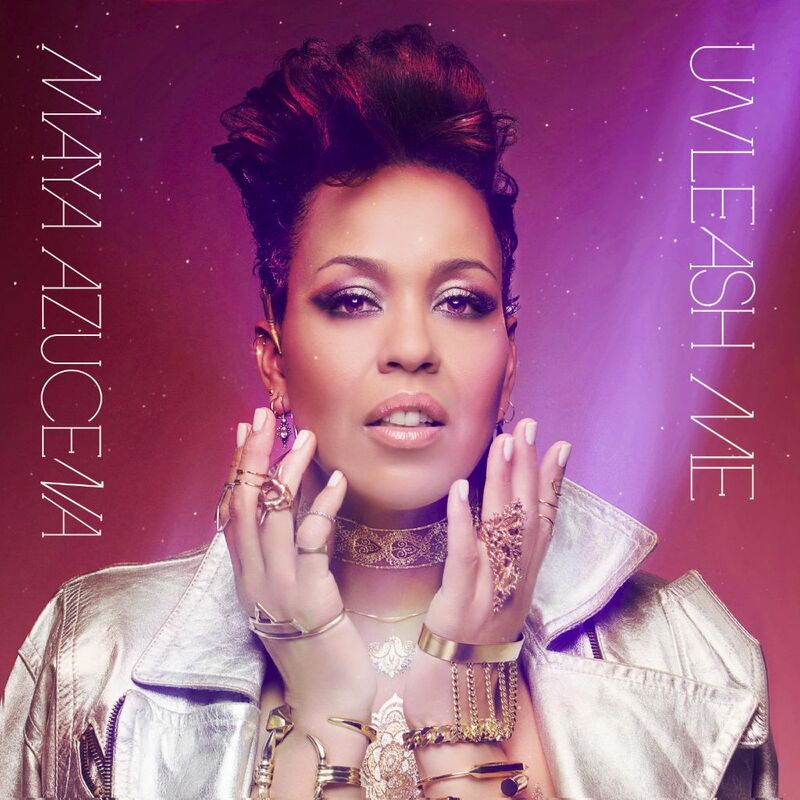 Maya is one of the most talented singers you may not know about it. But you defintely should. She sang at the Festival this year and had the standing-room only crowd enthralled. She has just released a new song Unleash Me that you should check out here. But also go check out some of her other work. Her voice is always beautiful and she always has an inspiring message in her songs. 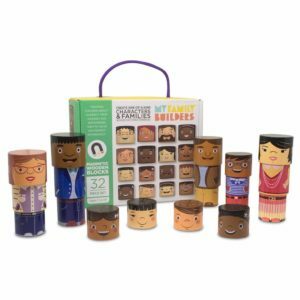 Gift book ideas for the #multiracial #mixedrace person in your life! 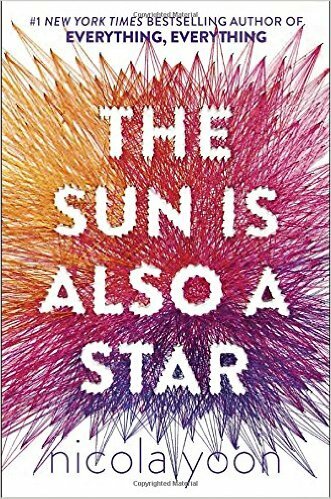 Mat Johnson’s excellent book about a mixed-race man who must come to terms with his own racial identity when he learns that he has a daughter he never knew about. 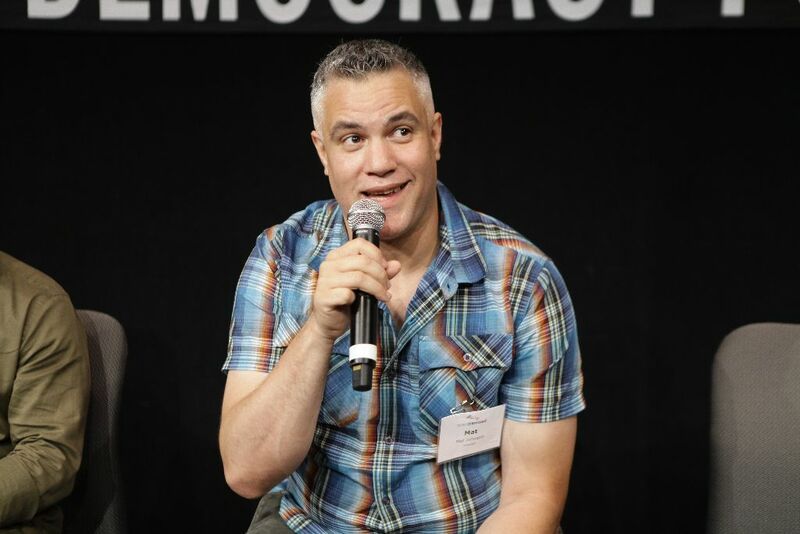 In a hilarious send-up on race and color and class, Johnson tackles the question of what would happen if there really were a utopia for mixed-race folks and families. 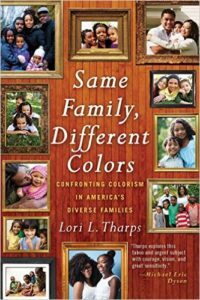 Lori Tharps‘ latest non-fiction book Same Family Different Colors is an excellent read and is bound to spark much-needed conversations. 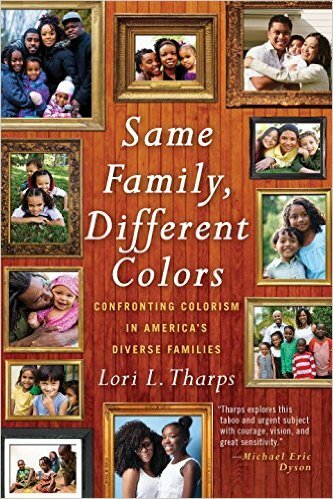 She tackles the difficult subject of colorism within families and society as whole. Her research and interviews are solid and entertaining. You can’t go wrong if you give this as a gift! And if you place your order by Dec. 15 we’ll be able to ship it so that it can arrive by Dec. 24. Quantities are limited! Well, we agree! And even though our all-volunteer team is small and our budget is modest, we’re rolling out new ways that we can keep that connection to all of you throughout the year. What’s our first initiative? 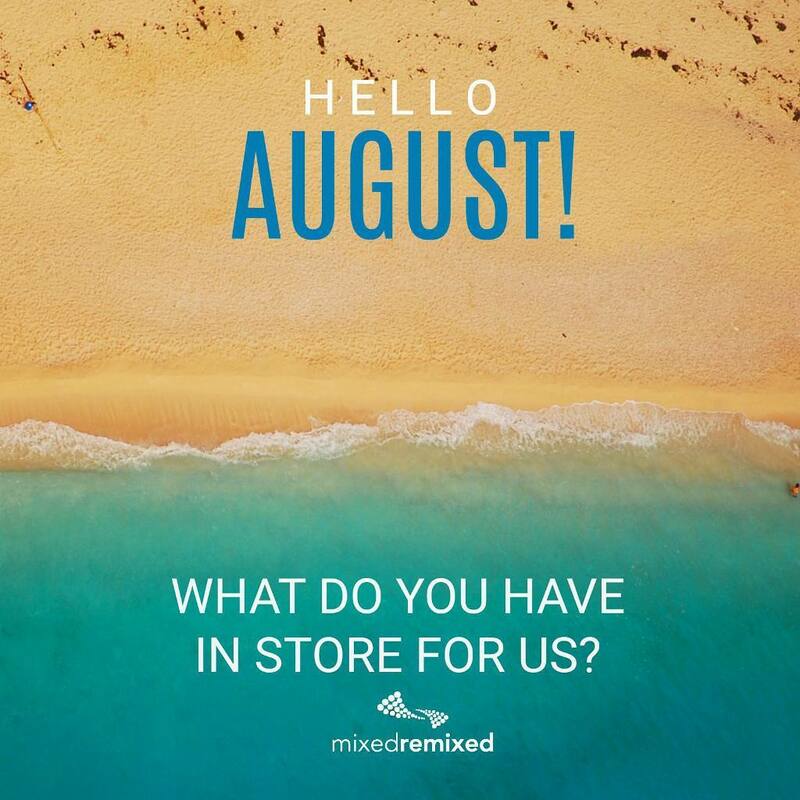 A Mixed Remixed Festival Year-Round Book Club! 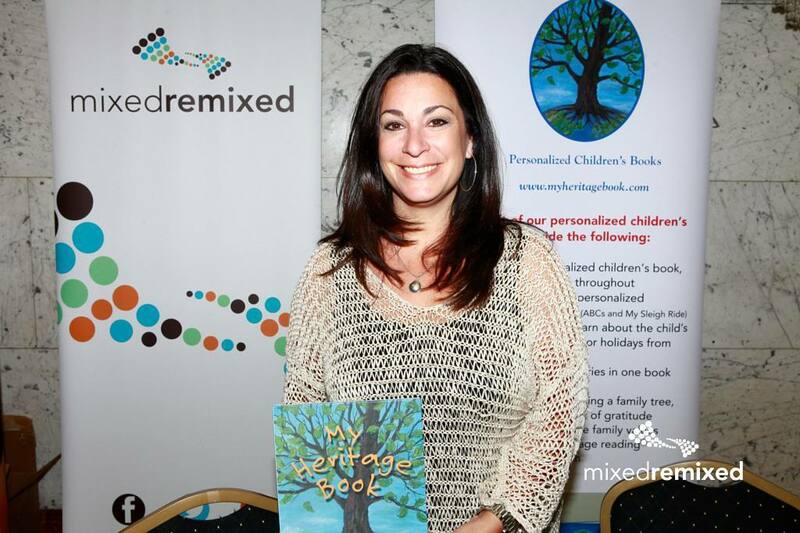 We’ll choose books that we think will speak to you and deal with mixed-race and multiracial families and people. Each month we’ll host a call-in podcast so that we can discuss the book together as well as having an on-line Twitter chat. Can’t make those events? Well then you can keep the conversation going in our new Goodreads Book Club all month long. Join the group now! Mat Johnson’s Loving Day Is Inaugural Mixed Remixed Book Club Pick! 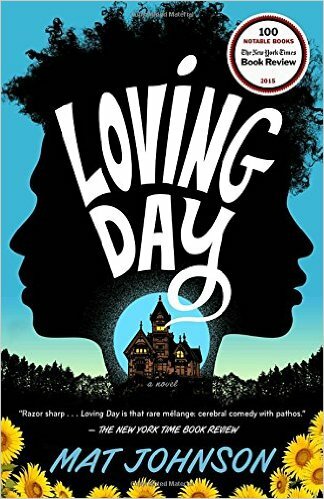 We’re excited that Mat Johnson’s Loving Day is our inaugural book club pick! This wonderful book is out in paperback this week! So get a copy and start reading now! We’ll meet-up on the podcast on Oct. 4 to talk about it in a discussion led by festival founder and New York Times best-selling writer Heidi Durrow! 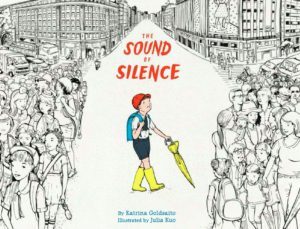 In the meantime, share your thoughts with our Goodreads Book Club Group. Join us for a community book club discussion on-line on Oct. 4 of Mat Johnson’s Loving Day! I ran the Mixed and Queer workshop on Saturday June 11, 2016 at the Mixed Remixed Festival in Los Angeles. In the early hours of the next morning a mass shooting took place at a Latin night at ‘Pulse’, a gay nightclub in Orlando, Florida. Later that day I wrote to the people who came to the workshop – here’s an edited excerpt from our correspondence. 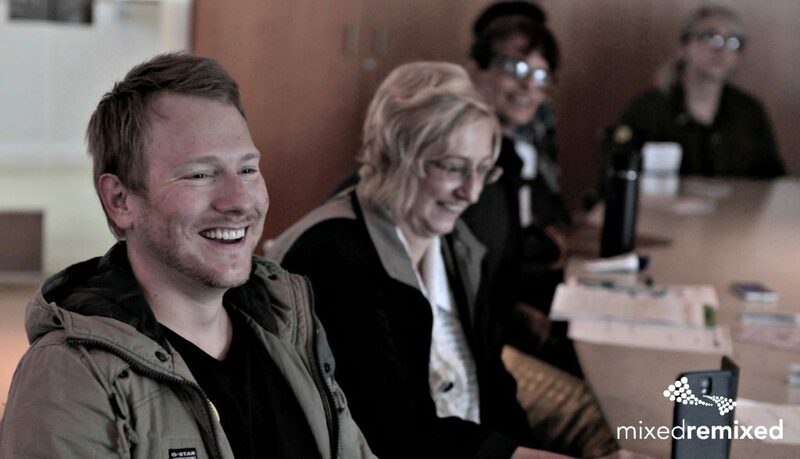 The mixed/queer workshop was one of the highlights of the whole festival for me. 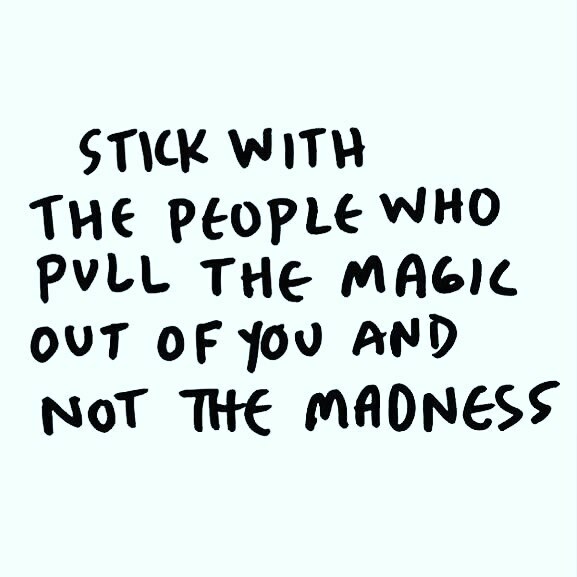 I really enjoyed meeting you all/seeing you again – I loved hearing your introductions and the writing you were starting to share from the workshop. 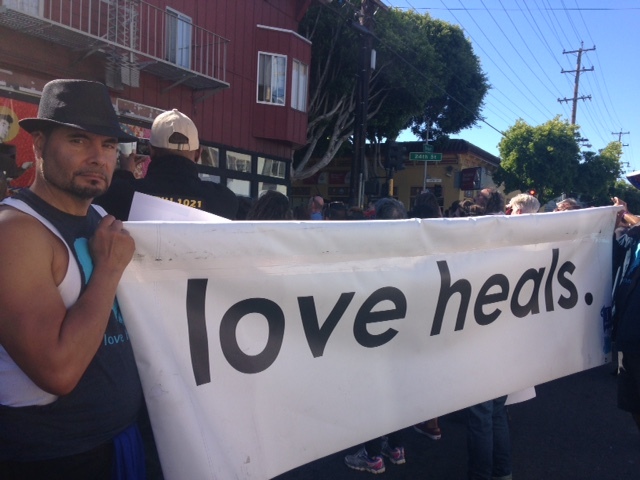 It was great to feel that sense of community with each other on Friday, and yesterday and then such a shock to hear the news about Orlando today, to know that while we were sleeping after our happy/emotional day and evening together, that this tragedy was happening across the other side of the country. From the coverage, it seemed to affect a lot of queer POC. (Name), I know you’re from Florida and were traveling back there today so I’m sure this is affecting you particularly. When events like this happen people have different reactions, feeling detached, tears, anger, grief. 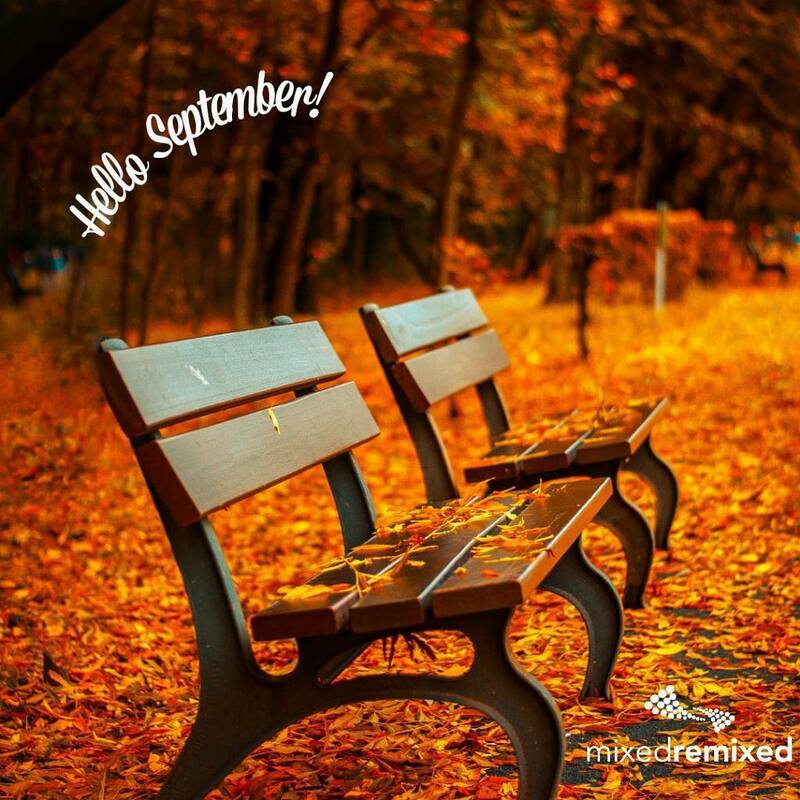 Sometimes people want to numb their minds, to be alone – to be together, we’ll all probably have different reactions. I want to encourage you to practice self-care tonight (whatever that looks like for you), and over the next few days. We’re all writers who came together in a mixed/queer writing workshop. And today our queer family in Florida is grieving. I want to leave you with one more prompt. “Write about your reaction to the news/coverage of the shooting at a gay club in Florida”. 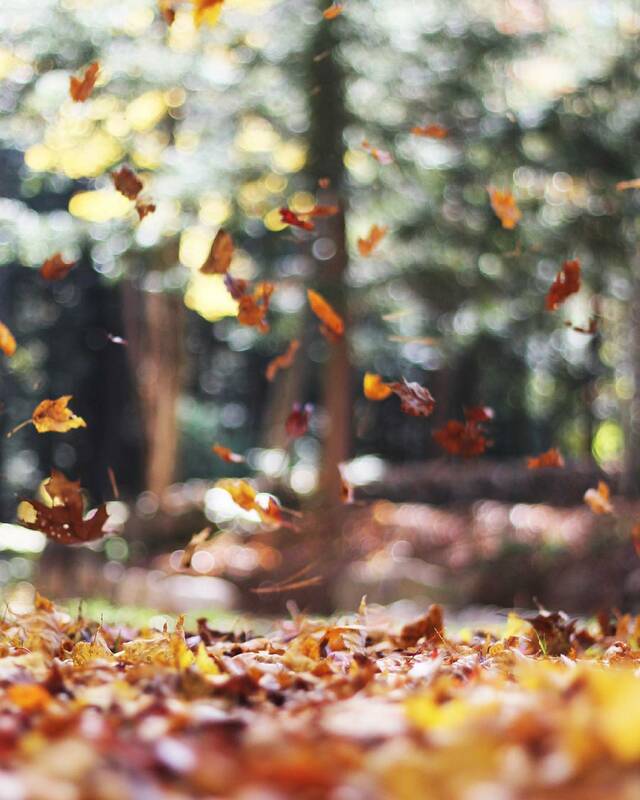 Take 10 minutes for this, you may want to set a timer (and grab a box of kleenex). If you find it helpful, and want to share, please reply all. I’m thinking of the bereaved folks in Florida tonight, and also of all of you too. Anna and I are hanging out today. We wanted to say thank you Clare for reaching out. 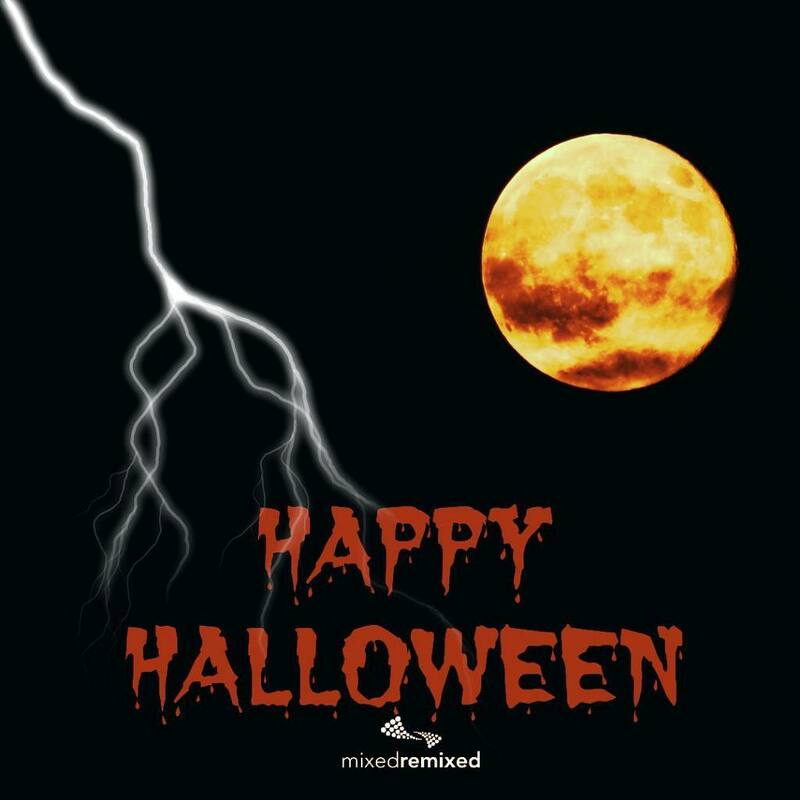 We’re thinking about you all. 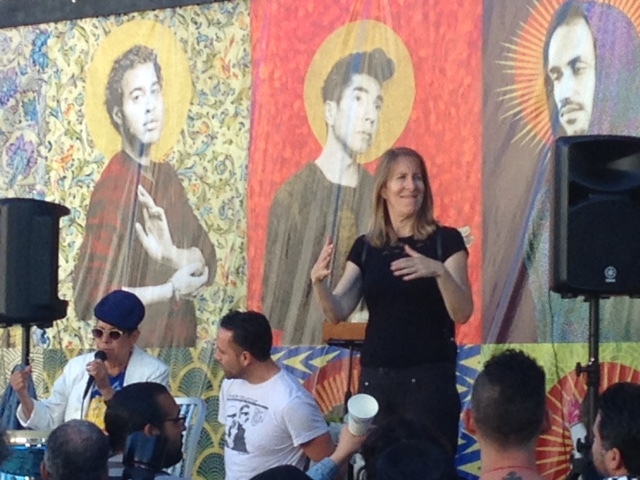 Very grateful for the queer/trans space we held at the mixed event-carving out qtpoc space for us. 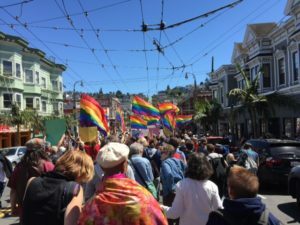 Anna said that this weekend as a whole was a reminder for her that we’re still subject to violence, and she’s grateful we wrote, shared and laughed in community together. For her, despite the violence both micro and macro, Saturday was a reminder of how necessary we are to one another, whether in person or online, and she’s proud of us for sharing ourselves, our lives with each other. I want to echo what she said and also name how grateful I am for the queer/trans workshop at the mixed event. I hope everyone’s taking care of themselves and honestly I don’t really know what to say. You all are sacred and beautiful and I’m grateful we met. Thanks for starting this thread and for reaching out to us all in the immediate aftershock of the attack in Orlando. 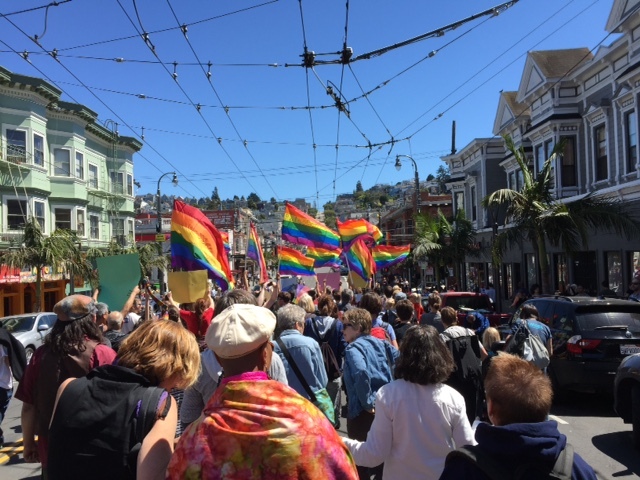 I, too, am grateful to you for initiating and fostering the continuation of mixed, queer space at the festival, but I have been quiet on the email thread in part due to overwhelm and feeling at a loss for the right words. 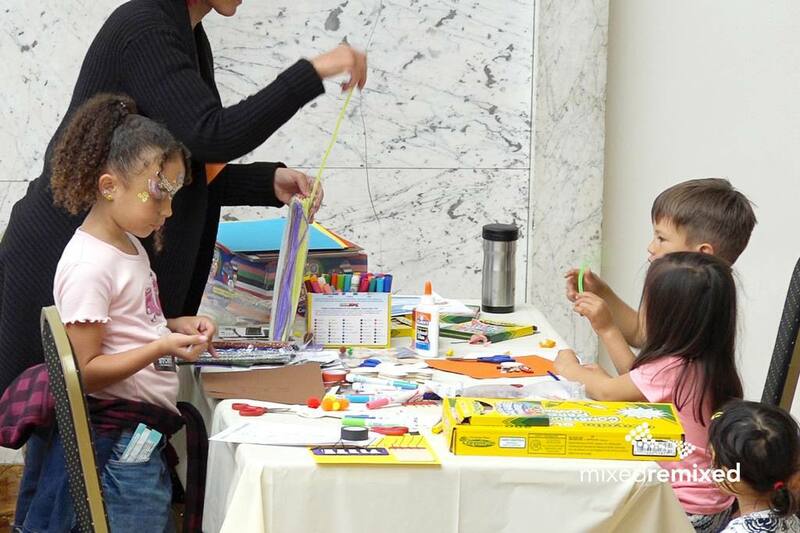 When I walked into the Yuki Family Board Room of the Japanese American National Museum at the 2016 Mixed Remixed Festival where the Microaggression Zine Workshop was being held, I’ll admit that I wasn’t entirely sure what to expect. Another great conversation the group had was the sharing of how we each tend to react or handle microaggressions when we are on the receiving end. As we went around the room, the reactions people described ran the gamut, from angry to confused to embarrassed to shamed. One workshopper had a great approach: humor. He explained that his approach was to play right along with the offender, replying and continuing the conversation in a manner that increasingly showed the absurdity of the comment or act, until the person realized his/her folly and the tables had turned. Note to self, I jotted on my notepad. Must try. 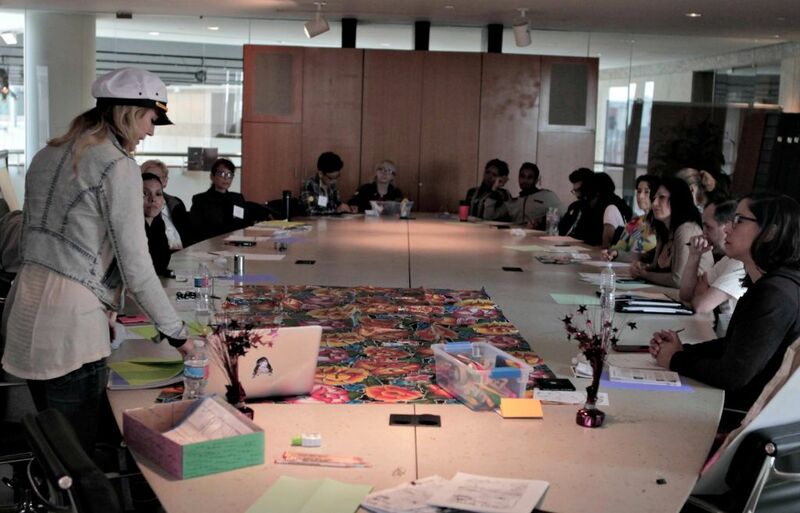 Once the group felt clearer about microaggressions, we were ready to dig in to the zines. 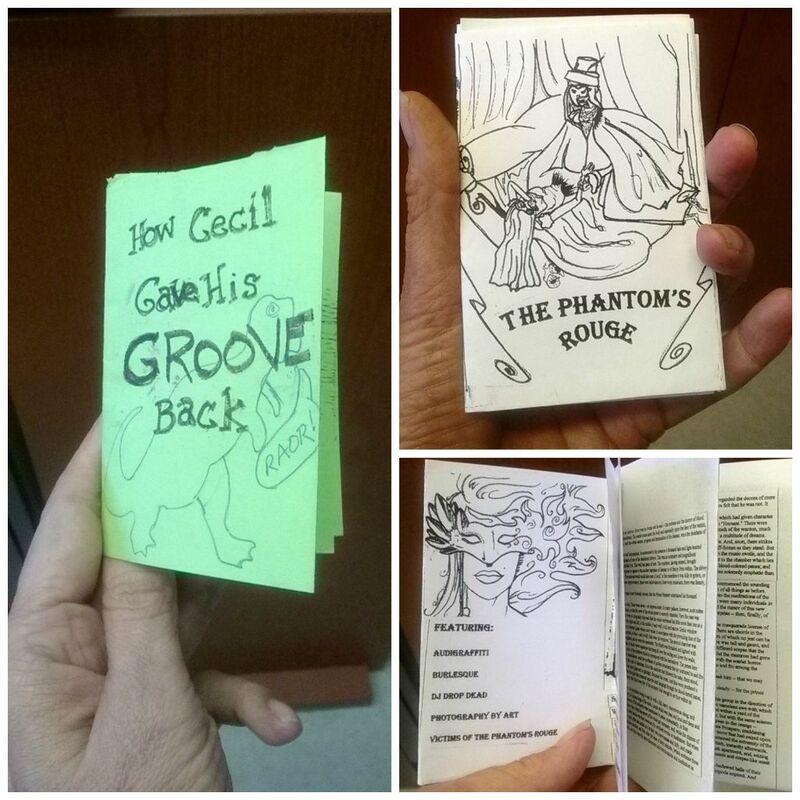 At the beginning of the workshop, Christina had given each of us some samples of zines she had created—they are, simply, handmade mini-magazines. 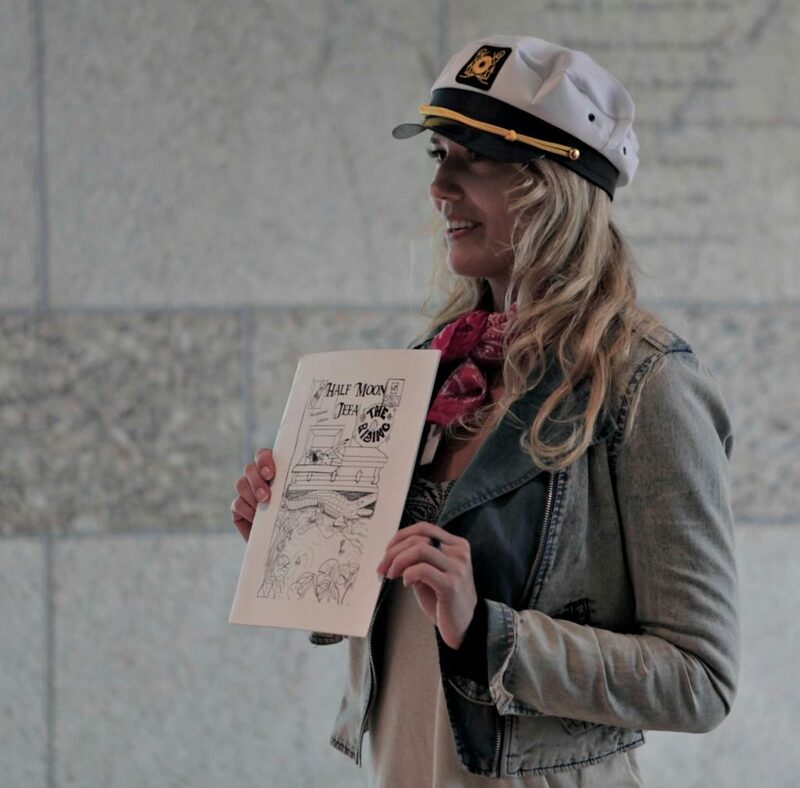 She handed out outlines with prompts that we would answer out as we fleshed our zines. Then she passed around a plastic container full of odd and eccentric items that we could go through and pick out, with the idea that this was added inspiration, visual, tactile, and most definitely creative! Some of the items included, for example, sandpaper, big floppy silk flowers, a rock, a small ceramic mask, and a little hammer. I chose the little hammer—don’t ask! 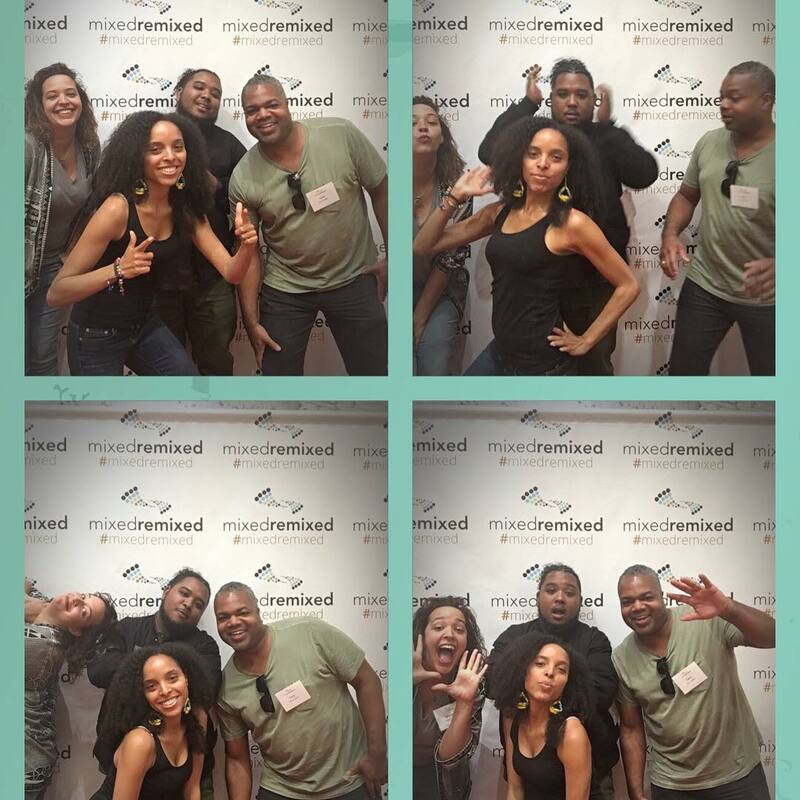 Once we got to work, Christina turned on some background music to help feed our creativity, wonderful Afro-Latin jazz type music that had me groovin’ and the whole room buzzing. Christina had promised we would “light up with creative excitement” as we processed confusing experiences that made us feel funny or awkward, and I’ll confirm: that boardroom was ablaze with energy! As we worked, a great scene of laughter, sharing, and sheer genius ensued. Once we had our outlines done and our tools laid out in front of us, Christina taught us how to take a plain 8 ½ by 11 sheet of paper and fold it until it turned into a mini book, sort of origami-style. We were rolling now! Meanwhile, Christina had spread a mini-toy-store of creative grown-ups’ utensils across the table —colored pens and pencils, crazy, fun stencils (like bats and ghosts) and more (I chose a dinosaur for my stencil). We were so excited to get this shout out from KTLA’s Gayle on the Go for the second year in a row. Thanks for helping us spread the word! 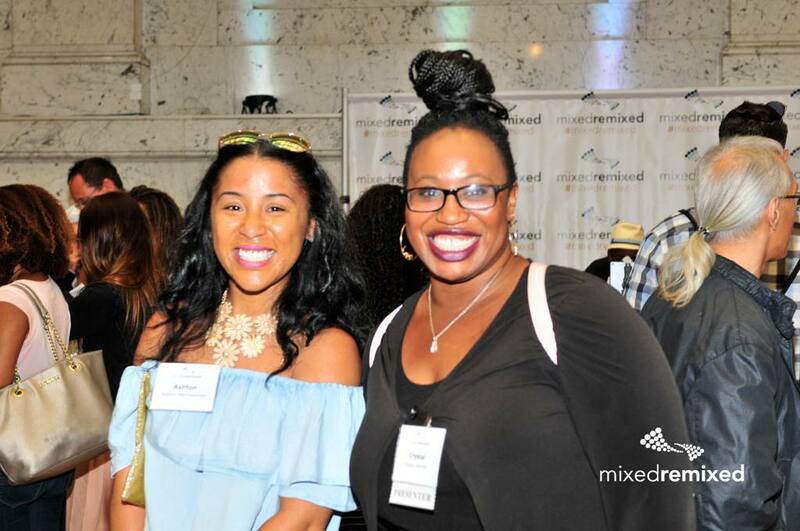 Not long after I got involved with the Mixed Remixed Festival through Heidi Durrow, I connected with Joy Stoffers, whose first novel, Whasian, was recently published by Harken Media. 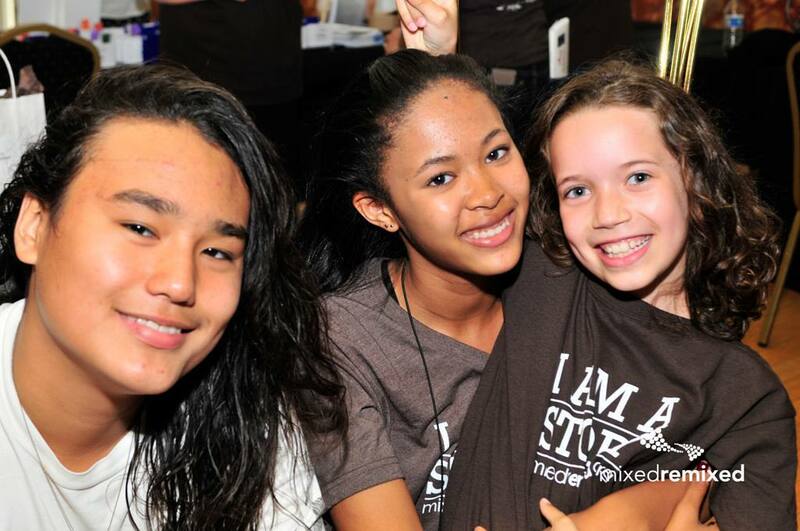 Like me, Joy is Hapa. 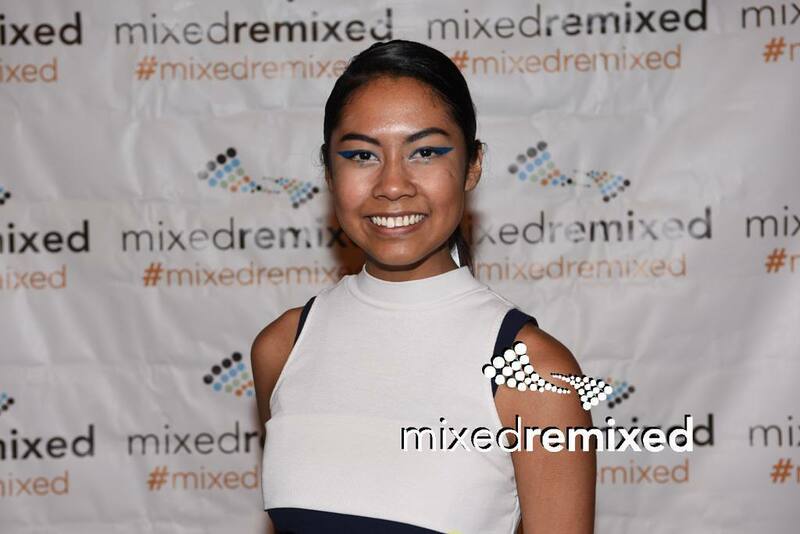 Imagine my excitement over the opportunity to interview her before the Hapa Writers: Our Stories in Fiction panel that the Mixed Remixed Festival is hosting. Joy is among the esteemed panelists. I’ve corresponded and Skyped with Joy, and will be meeting her in person for the first time in LA where we will be live blogging during the festival. This interview was conducted via email. 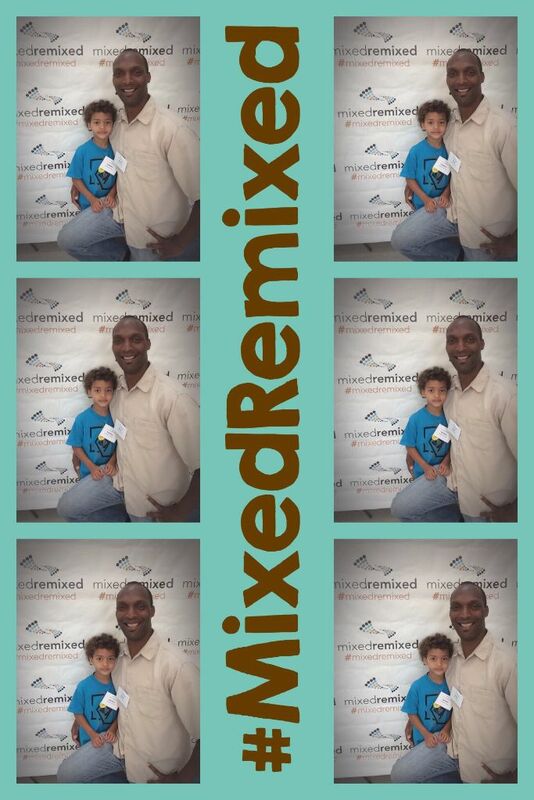 How did you get involved with the Mixed Remixed Festival? 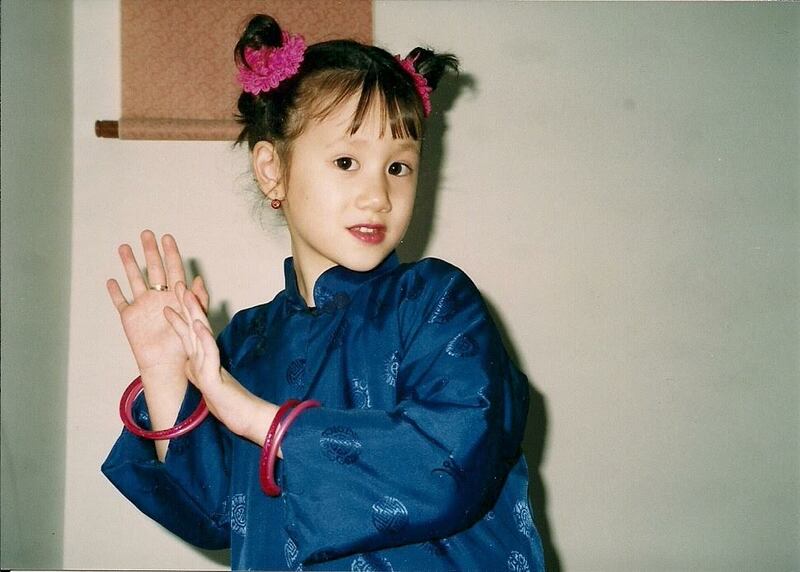 In the finalizing of Whasian, I tried to discover what, if any, mixed-race community existed. 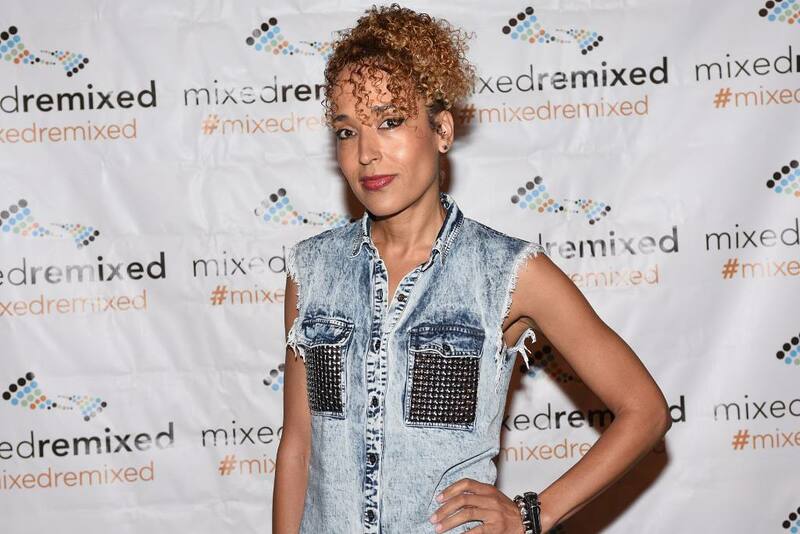 I found Heidi Durrow’s podcast, “The Mixed Experience,” and became an avid listener. Of course, this led me to read her novel, The Girl Who Fell from the Sky, and to learn about the festival she founded. Heidi’s multifaceted engagement with the issues I’d always grappled with inspired me. I sent Heidi a fan-girl email, and she graciously offered to blurb for my debut novel—and to host me on her podcast. 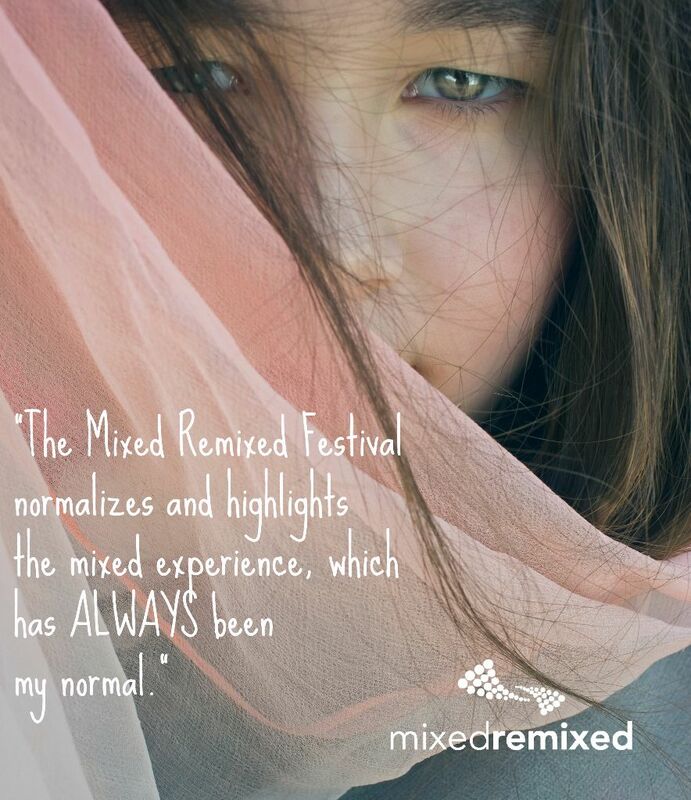 After the live conversation ended, we talked offline about the Mixed Remixed Festival. By mutual agreement and hope, I became the festival’s head blogger. Heidi, I think, has a habit of taking on more than most would seem possible. I hope I’ve been able to ease her incredible workload, and I’m excited to attend the festival for the first time this June. What a great story! Can you talk a bit about, as you put it, the “issues [you had] always grappled with”—presumably because of your being mixed race? According to my father, when I was five years old, he told me that I was different than most other children. He said that I’d always share this difference with my brother, and that we’d understand each other better because of it. I suppose this was my Caucasian father’s way of explaining racial nuance to a child too young to understand the construct of race, let alone its real-world implications. Through my experiences—from as trifling as Asian model-minority stereotyping to as frustrating as being called a chink—I learned my own version of race. No matter what I did, or what I said, my appearance and self-expression never matched what people expected of me. I’m naturally a Type B, slow-to-boil person, so add cultural styles of being, and you get an even more interesting mix. As my mother notes, I have my Ama’s (Taiwanese grandmother’s) temperament, and the Stoffers’s (German) stoicism. I’ve been called cold, guarded, reserved, stuck-up, standoffish, etc. Perhaps I deserve these labels, and perhaps I don’t—or somewhere in between. During my childhood and adolescence, the bubbles added up. All my angst and questions boiled into Whasian, a decidedly non-autobiographical novel. 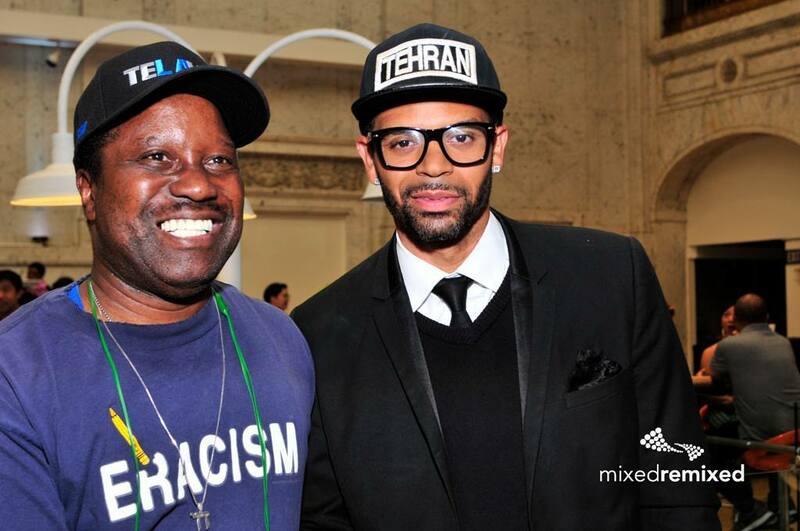 Through my experiences … I learned my own version of race. Are you and your brother close? To use epic terminology, I believe my father’s statement became a realized prophecy. My brother and I are best friends. Part of the reason why I moved to Seattle was to live near him again. Although we’re incredibly different personality-wise and interest-wise (he’s an aerospace engineer interested in music and sound engineering), we share a bond that’s intrinsically tied to our mixed upbringing. 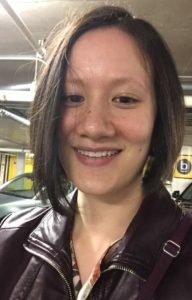 Turning to Whasian, how, if at all, does Ava’s mixed race background affect her ability to relate to, and form close relationships with her peers? 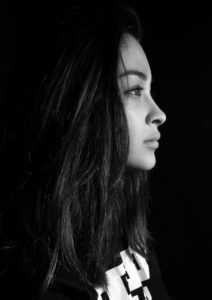 For Ava, her mixed-race background disrupts her ability to relate to her peers, and for the majority of the novel, negates her ability to form close relationships. I wrote Ava into being while thinking about the greatest potential for self- and other-made alienation. Most of the time, Ava longs for connection, but at the start of the novel, she’s a slave to her cultural background and identity-centered uncertainties. I’d like to focus on the what you describe as Ava’s “identity-centered uncertainties.” Do you think that this sort of lack of clarity—or even confusion—about one’s own identity is part of a shared mixed-race experience? 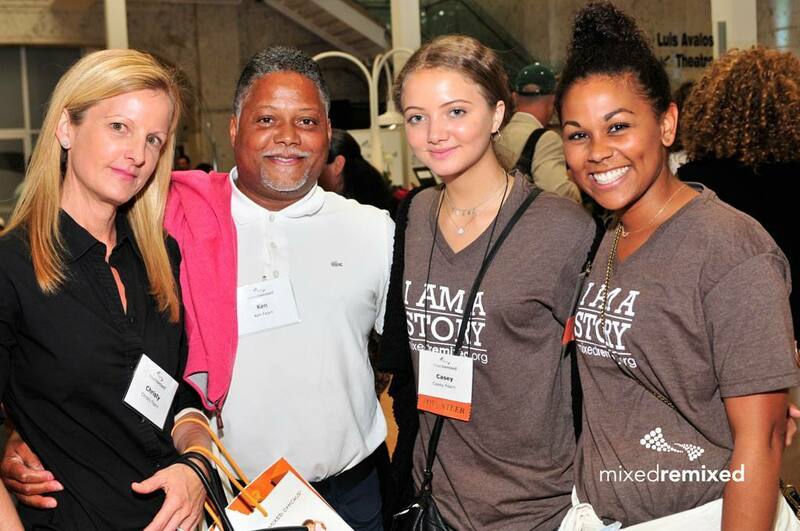 The quest for identity applies to us all, but I think it’s especially salient for those with a mixed-race experience. Other people continuously tell us/ask us what we are, instead of asking us who we are. We feel pressure to choose—but there’s no obvious, “right” choice. So we linger in a limbo until we realize that only we can claim our identities (and that we have many identities). We have the right to voice how we feel, to remain in flux. So as mixed race people, are our identities always in a state of flux because of there being no single heritage we can wholly claim as our own? Personally, I believe that yes, most mixed-race people will learn to embody a fluid sense of identity. I think it’s more than being unable to “wholly” claim a single heritage. Our experiences, both individually and collectively driven, are so diverse. There’s rarely a consistent constant for us to grasp as an anchor. 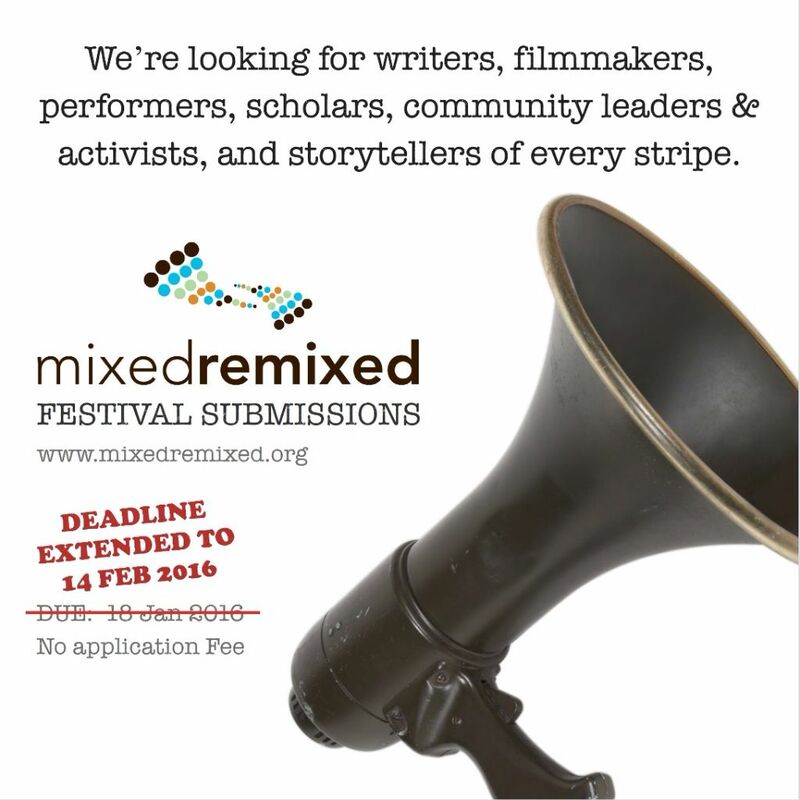 I hope to explore what being mixed-race means to us when we write fiction. 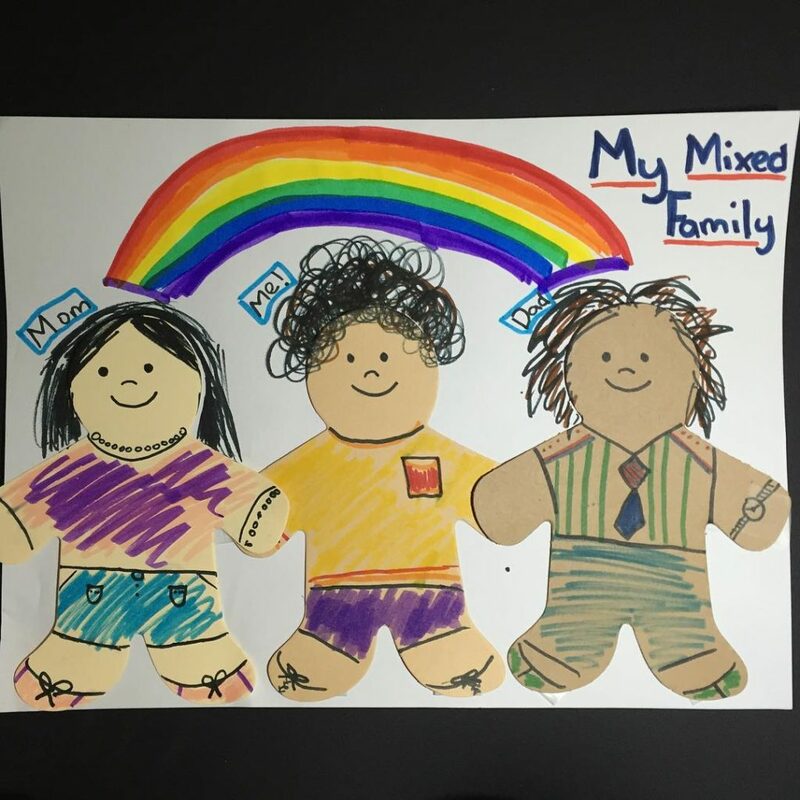 In what ways might this fluid sense of identity manifest itself in the lives of mixed-race people? Again, I must begin with the caveat that this is merely my opinion. I’m one speck on a square that’s part of a massive mosaic. From my interactions with other mixed-race people, I hear that we can change our identities on an hourly, daily, weekly, insert-measurement-of-time-here basis. And that every change is subject to change based on circumstance. Do you think that a fluid identity might lead to our changing domiciles more often, or our affect career decisions? Perhaps even our taste in art and literature? What a novel connection to make! In this case, I can only speak for myself. If I’m not careful, I over-analyze and seek transience. There’s a difference between running and re-assessing. Now that I’m aware of this in myself, I strive to reassess when the time is right, instead of run at first impulse. 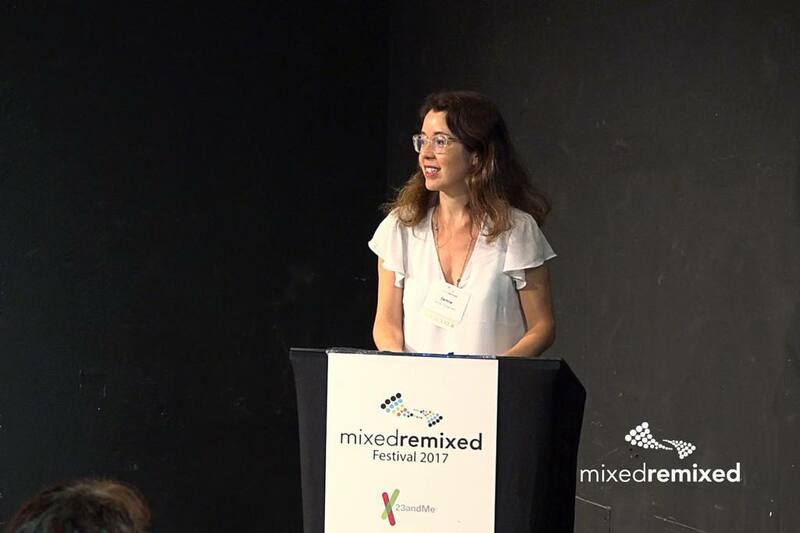 I have the feeling that there may be some uncanny similarities in our respective experiences as mixed-race people, and I’m looking forward to hearing more stories at the Mixed Remixed Festival. 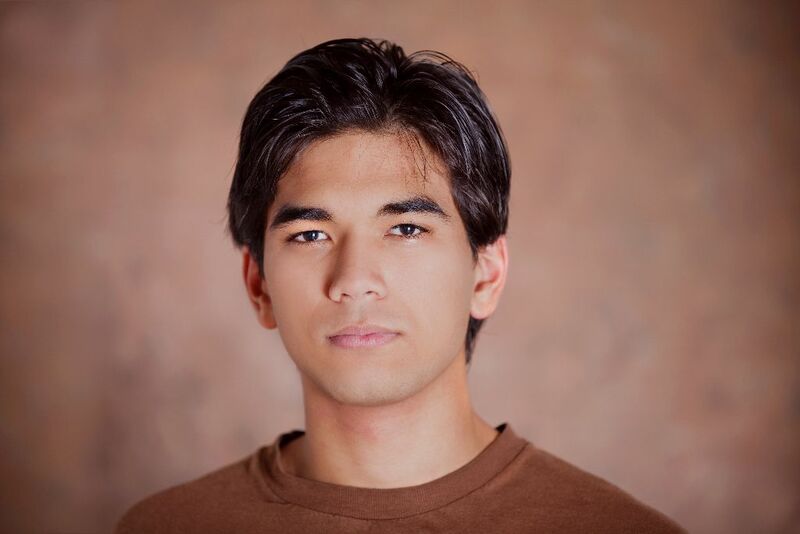 Which brings us to the Hapa Writers: Our Stories in Fiction panel discussion. Is there a theme you’d like to explore, or message that you’d like the audience to come away with? I hope to explore what being mixed-race means to us when we write fiction. Generally people assume that because I’m mixed and write about mixed-race and “alternative” styles of being, then I must be writing autobiographical fiction. I shirk the notion that we cannot write outside our lived experiences. My experiences have shaped me as a writer and person, and certainly provide me with inspiration, but I use this inspiration to imagine outside myself. I wonder what the other panelists will think in this regard, and hope to learn from them. 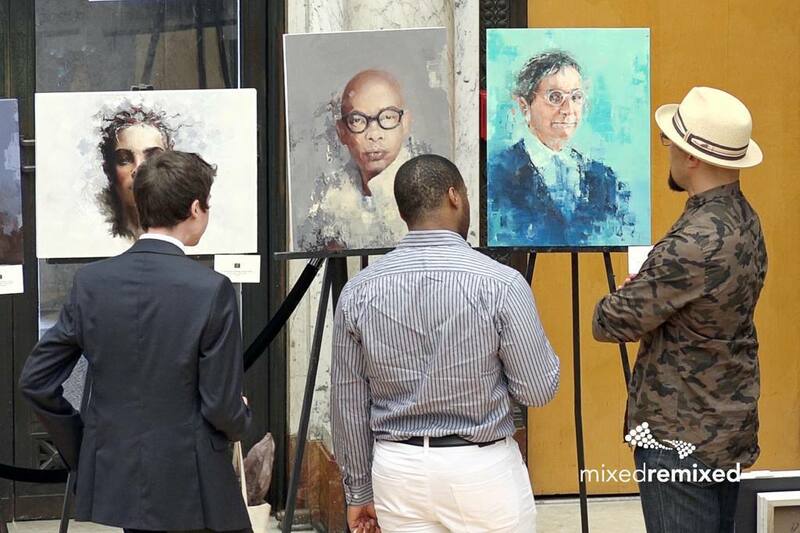 What an important topic to share with other mixed-race artists. I’m looking forward to the panel discussion, and to meeting you face-to-face for the first time at the Mixed Remixed Festival. Hapa Writers: Our Stories in Fiction will take place on June 10, 2016, from 2 to 2:50pm, at the Japanese American National Museum. You can register for to attend this panel here, as well as download a festival schedule. 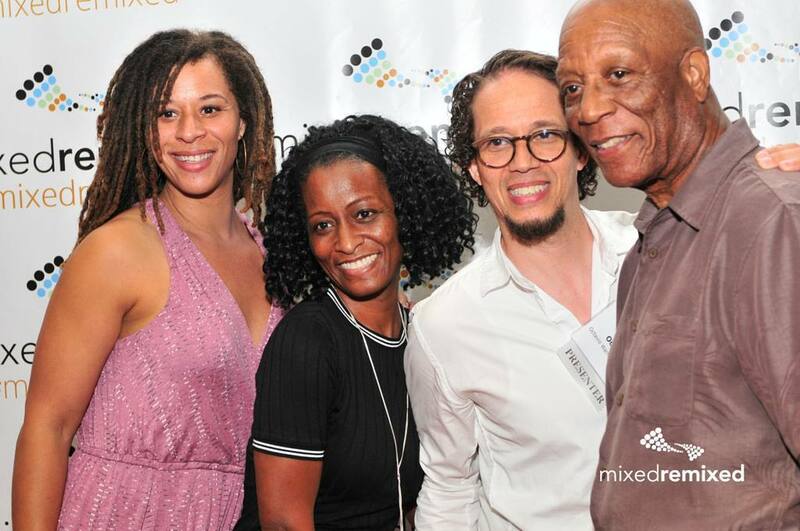 The Mixed Remixed Festival is an annual film, book and performance festival that celebrates stories of the mixed-race and multiracial experience. 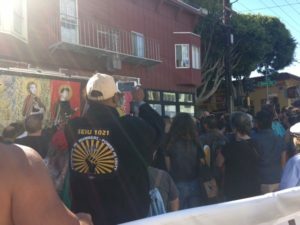 Hundreds of people came from far and wide for celebration, connection and community. Join us for the 3rd annual Mixed Remixed Festival June 10 and 11, 2016. Registration is now open. 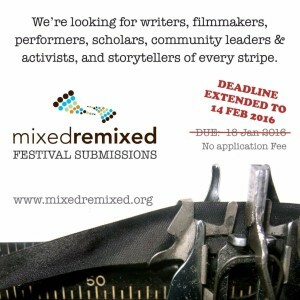 Mixed Remixed Festival Submissions 2016: Deadline February 14! Good news for those of you who’ve had busy starts to the New Year—we’ve extended the deadline for submissions to the 2016 Mixed Remixed Festival. 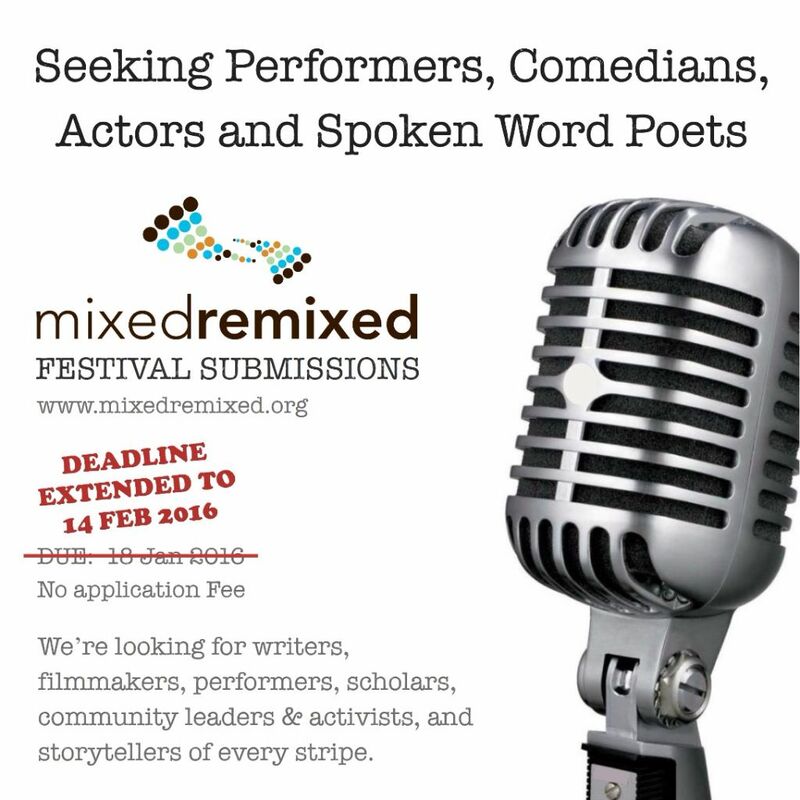 Remember the deadline is Sunday, February 14. That’s right, by the end of Valentine’s Day. 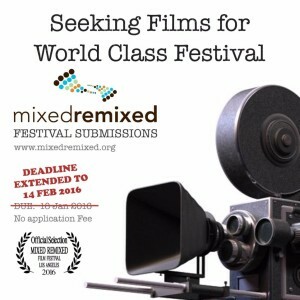 Send your love our way by submitting to the festival! 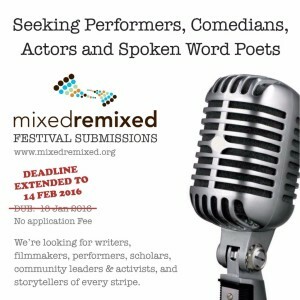 Mixed Remixed Festival Submissions 2016: submit here. There is no submission fee.